Beautiful picture frame that makes each photo into a real eye-catcher. The modern picture frame is particularly well suited as a gift. 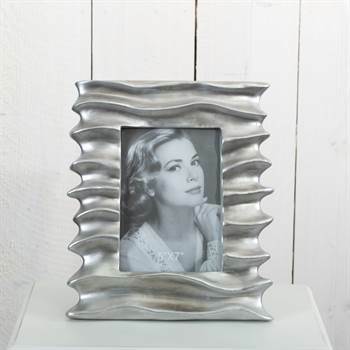 With this beautiful photo frame you can showcase your favourite photo or picture. Very special is the wave shape. Measurements (app) : frame: 10.5" x 9", picture section: 5" x 7"